Today, we present the seventh installment in our series dedicated to the eight public hearings for the Commonwealth’s Fiscal Year 2014 budget. 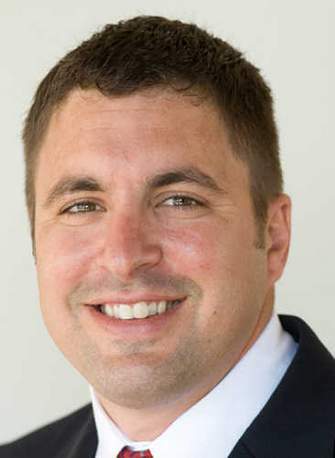 This edition of My View comes to us from Representative Matt Beaton. The seventh in a series of eight FY14 Ways and Means budget hearing was held at Everett High School. Aside from the testimony from various state agencies, the one lasting memory I feel legislators will walk away with was the impressive hospitality displayed by Everett High School’s students and faculty. Our experience at Everett High School gave us all great hope for the future of the Commonwealth. Yesterday’s hearing saw testimony from the Secretaries of the Executive Office of Labor and Workforce Development (EOLWD) and the Executive Office of Housing and Economic Development (EOHED). First to testify was Joanne Goldstein, Secretary of EOLWD. Secretary Goldstein presented the Committee with a stark reminder of the dire economic climate that is resting on the heels of Massachusetts’ 6.7% unemployment rate. Secretary Goldstein pitched the Administration’s request for increased spending on a number of training and youth employment programs, providing further evidence of the need for the Legislature to make job creation and economic vitality its number one priority this legislative session. Given the number of unemployed and underemployed citizens of the Commonwealth, Republican committee members continued our questioning of the timing and breadth of the Administration’s aggressive tax proposal and government expansion during the worst economic recession since the Great Depression. The more controversial testimony of the day was given by Secretary of Housing and Economic Development Greg Bialecki around the Administration’s proposal to regionalize the 240 housing authorities throughout the Commonwealth. In light of the Chelsea Housing Authority scandal, it is hard to refute that some housing authorities are mismanaged and are greatly in need of reform. However, the current regionalization proposal paints a broad brush across the entire state, doing a great disservice to the many well managed housing authorities throughout the Commonwealth – two of which I am fortunate to represent. This proposal has been touted as a great cost savings for the Commonwealth, but upon questioning, it became clear to the Committee that this regionalization effort would likely not realize any significant savings to the taxpayer and would only result in loss of local control with more bureaucracy centralized in Boston. When considering reform within the EOHED, instead of focusing on unnecessary reforms that will yield little to no savings, we should instead explore efficiencies and accountability in EOHED programs that have a cumulative spending request of $885 million. Given the recent waste identified in the Department of Transitional Assistance, we must learn from our mistakes. By taking a close look into the variety of housing assistance programs, we have the opportunity to assure the citizens of Massachusetts that we are assisting those whole truly need it, all while holding the bureaucracy accountable. In doing so, we will identify inefficiencies that will yield true cost savings. As the Governor asks the taxpayers to dig even deeper into their pockets with an increase of $2 billion in new taxes, we must first audit our existing programs and engage in real reform. If we accomplish nothing else this budget season, we as elected officials owe this effort to the citizenry of the Commonwealth.